Julia Jones, illus. Claudia Myatt, Chelmsford: Golden Duck, pb, 978 1 8992 6239 7, £8.99, 2018, 303pp. 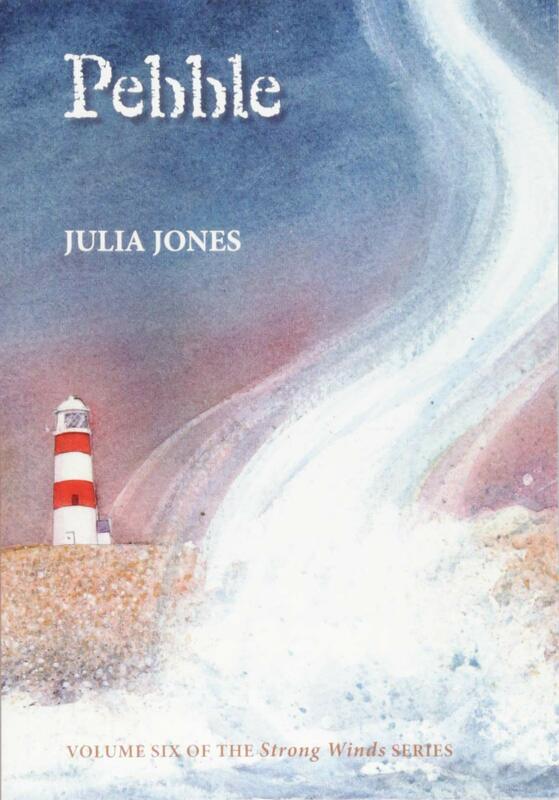 Over the past seven years I’ve reviewed five of Julia Jones’ books in what started as the Strong Winds Trilogy. Now doubled in size to an ongoing series, each of its individual novels has powerfully tackled some important issues which affect all our lives. The review of The Salt-Stained Book, the first volume in the nautically-based trilogy, appeared in IBBYLink 32 (Autumn 2011). As I noted then, Julia Jones owns the yacht Peter Duck, one of a number belonging at one time or another to Arthur Ransome. The Ransome connection extends beyond this, as her parents knew Ransome, and bought the yacht after his death, then allowing their small daughter to read many of the Swallows and Amazons stories in the quarter-berth onboard which Ransome had originally used to store his typewriter. It isn’t easy being the not-quite youngest in a large family – a single pebble on a shingle beach. Liam’s home life is complicated by his step-sister’s friendship with the troubled son of a Russian billionaire, and his unknown mother has left him an inheritance which she never intended and which he cannot avoid. Liam struggles to protect his family against unseen dangers but a half-term trip up the Suffolk coast in the Chinese junk Strong Winds detonates a series of events which bring glorious discoveries and permanent collateral damage. Can anyone escape involvement in this new Cold War? Liam’s inheritance isn’t what we might imagine, and true to Jones’ constant concern with social issues, his feelings of isolation find him happiest when singing shanties for the residents at the local Care Home. Jones writes with great compassion when highlighting both the young and the old, and in her afterword she acknowledges the real-life situations which have been her inspiration. Her characters have always been a complex collection from every walk of life, and many far-flung places, whose back-stories explain how they have become ‘other’. Jones has emphasized that it is precisely these different backgrounds which provide the strength of character and varied experience which are essential in rich and integrated communities, whatever their financial situation. Each Strong Winds novel can be read as a stand-alone story, and she thoughtfully prefaces Pebble with a brief resumé of the earlier volumes, and a short biography of those characters who recur or are referenced. It’s a great joy to meet Donny and his mother again – the main characters of the first book – and witness how they have developed after a traumatic beginning. By far the best way to read Pebble however is to preface it with the earlier books, and to realise how strong the characters become through their experiences. And Jones shows us that we can too.